Image Credit: DoD photo by Master Sgt. Ken Hammond, U.S. Air Force. Can China Tap Private Sector Innovation in Defense? The United States isn’t the only country looking to inject some civilian-sector innovation into defense technology. Early last week, the Pentagon announced a new initiative designed to broaden the defense industrial pool by appealing to smaller, non-traditional firms. This is hardly the first time that DoD has launched such an initiative; over the past decade and a half, the Pentagon has repeatedly made efforts to shift procurement dollars to firms not normally associated with defense technology. The DoD keeps trying to do this because it wants to capture some of the dynamism of the civilian tech economy, reduce costs for key technologies, and introduce additional competition to defense procurement. Rhetorically, proposing to “give the little guy a leg up” appeals to Congress and the media. So why does the Pentagon keep having to launch these initiatives? They often don’t work, for several reasons. Traditional defense firms have spent a lot of time and money mastering the byzantine procurement process. 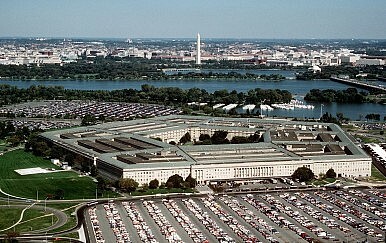 Such firms usually have long-standing connections with the Pentagon, often hiring retired DoD civilians and former military officers. Finally, the Pentagon’s system of intellectual property management tends to scare away firms that want to maintain a foothold in the civilian market. Historically, Chinese military procurement has depended deeply on a few massive state-owned enterprises, as well as on Russian exports. These firms have done relatively well with respect to evolutionary, incremental innovation, but (as with their Soviet model) less well in terms of disruptive innovation. The idea that small, skill-intensive firms excel at certain kinds of innovation and big, capital-intensive firms excel at other kinds of innovation isn’t new, or unique to China. The only difference is in the balance of big and small firms. And so what does this mean? A Chinese military effort to tap the benefits of small, innovative firms probably stems from the same sources as the American effort; a desire to capture the technological dynamism of small firms (indeed, the gap between China’s private technology firms and the state-owned defense firms is probably larger than its counterpart in the United States), and to reduce costs. However, it’s far from obvious that the effort will succeed any better than it has in the United States. Lockheed Martin is well connected, but Shenyang and Chengdu are part of the Chinese state, and undoubtedly will view any effort to replace them with great suspicion. Even if efforts on the part of DoD to expand its supplier base usually fall short of state goals, the United States military has still enjoyed a diverse industrial base relative to China, Russia, and even many European countries. Any effort that helps the PLA tap into the dynamic, efficient, innovative Chinese private sector will probably help, even if the immediate benefits aren’t apparent. The End of the American Way of War? The U.S. military's technological superiority is slipping, says Deputy Secretary of Defense Robert Work.